I am very happy to have found the Titian Puma TV lamp. Manos agreed that it was made by the Browns and it is mentioned in Gail Henrys book too. 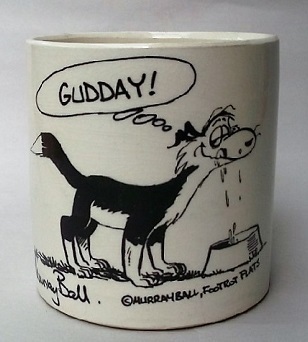 There are also Hobby ceramics pieces about which are very flimsy and the glaze is different too. Good on you. The colours on the rock are spot on, and most hobby ceramic pumas I have come across have the area reserved for the light bulb glazed in the same black glaze as the puma, and there is no hole for the cord to go through. A great find. Yes you are right dollcrown. 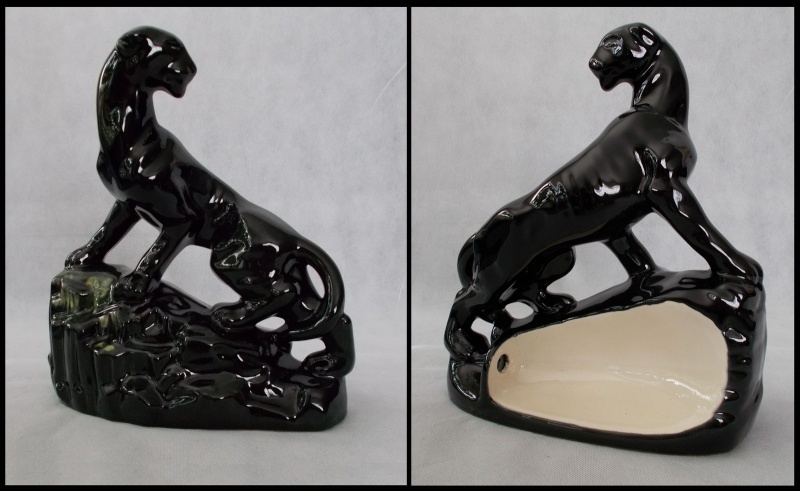 Here is a photo of my Hobby Ceramics Puma. 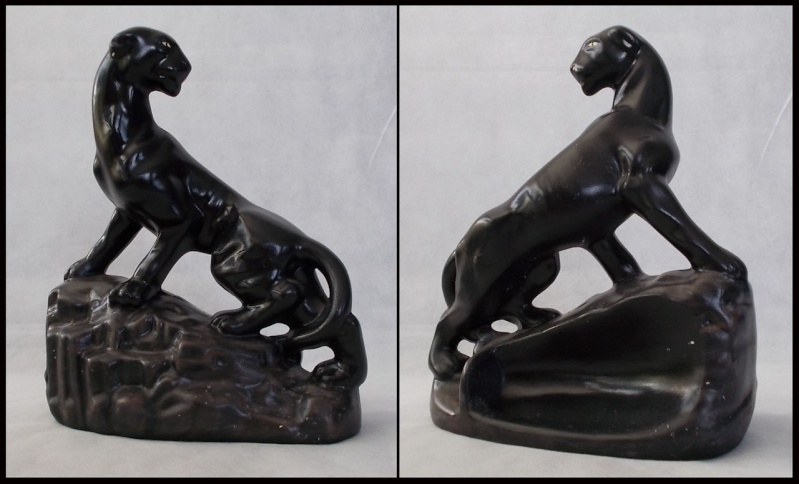 The Titian negatives show this to be a P.L.7 Cougar Lamp Base and was made for Paramount. I will change the title of the topic.